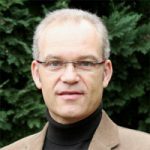 Dierk Söllner is a well known consultant with more than 25 years of experience who works at the intersection of business and IT. He supports clients in Business-IT Transformation, IT Service Management and Business Process Management. His specialties are process optimization and implementation, IT applications and team building. Whether as a trainer or a coach: Dierk helps people, teams and organizations to adapt to modern forms of work, new roles or organizational changes.